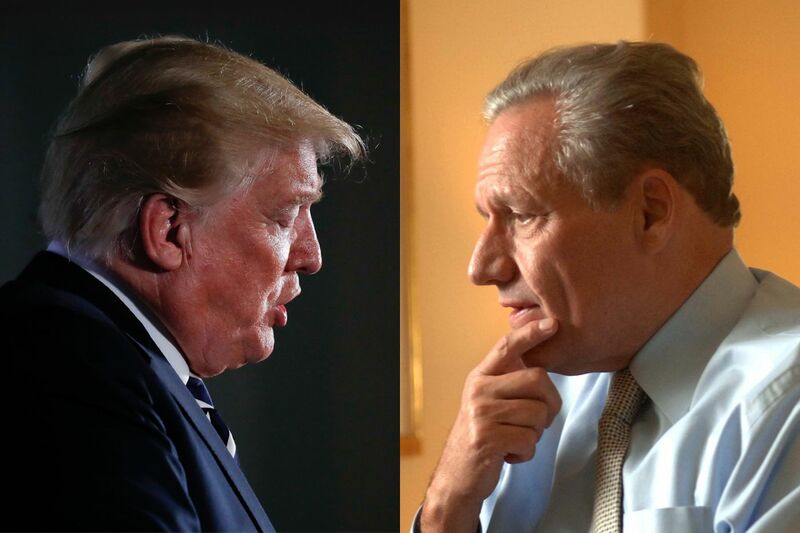 In an audio recording of a phone conversation between President Trump and Bob Woodward, Trump claims his staff never told him of Woodward's repeated attempts to speak to him for his new book. Bob Woodward wanted to interview President Trump for his new book. He reportedly spoke to several staffers, including White House counselor Kellyanne Conway, in hope of making it happen. But the two never connected, and Woodward finished his new book, Fear: Trump in the White House, without sitting down for an interview with the president. On Aug. 14, Trump called Woodward to complain about not being included, claiming in an audio recording by the author and shared by the Washington Post that his White House staff never told him about Woodward's repeated attempts to sit down with him. "It's really too bad, because nobody told me about it, and I would've loved to have spoken to you," Trump told Woodward. "You know I'm very open to you. I think you've always been fair. We'll see what happens." During the conversation, Woodward told the president that his new book relied on hundreds of hours of recordings from firsthand sources within the White House (he included his transcriber, Evelyn Duffy, on the call) and that it offers "a tough look at the world and your administration and you." "Right. Well, I assume that means it's going to be a negative book," Trump responded. "Some are good and some are bad. Sounds like this is going to be a bad one." At one point during the conversation, Conway walked into Trump's office, and the president immediately chastised her for not telling him Woodward had requested a meeting. Later during the call, Conway took the phone and attempted to explain to Woodward what happened. "I put in the request. But you know, they — it was rejected. I can only take it so far. I guess I can bring it right to the president next time," Conway said, adding she presented it to the people in the White House who make decisions. "Who are the people?" Woodward asked. "But anyway, I'll give you back to the president," Conway responded.